PORTOLA HILLS LIVING by Kelly Turbeville: Spring has sprung in the Real Estate Market.. or has it? Spring has sprung in the Real Estate Market.. or has it? 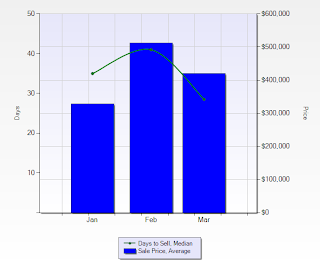 It is spring time the home buying season has begun or has it... Here in South Orange County the inventory is extremely low and home buyers are searching and searching for homes to no avail. Below is a graph for the last 12 months that shows Inventory Levels vs. Sales Price for the area of Lake Forest. As you will note home inventory has dramatically dropped, which results in an increase in the sale prices, good news for homeowners who are considering a move. I do see a slight issue with some homes sitting on the market for no other reason then being incorrectly priced. If your home is priced right it will move into escrow pretty quickly. If a home has not gone into escrow within 30 days, with multiple offers, pricing is probably the main issue. 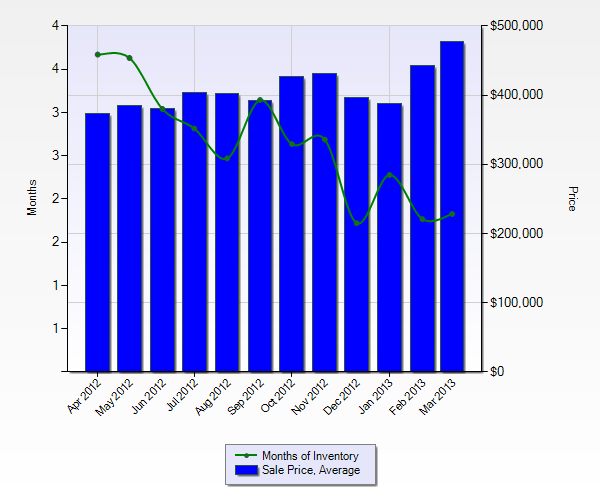 Today's home buyer is savvy and understand the inventory levels but they also are still very price conscience! By not pricing your home accurately, in the long run you are hurting your chances to get the best price for your home. Homes priced right are selling quickly with multiple offers over the asking price! But there is no doubt pricing is on the rise, listing today before the spring rush is going to garner you a better price! Wondering what your home is worth and what has sold recently in the market, contact us for a FREE market review.